Moving the Yukon for over 50 Years. Local & Long Distance Moving, Packing, Crating & Warehousing. 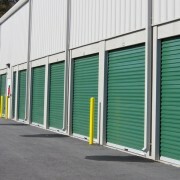 Located 2 min from Downtown - Residential/Commercial Storage. Fully Automated Security Fence; ideal for bikes, canoes, kayaks, recreational equip, home furnishings & anything you need out of sight! Local & Long Distance. Free Estimates. Packing, Crating & Storage. Our partnership with Mayflower allows us to move your household goods & valuables anywhere in the world. Friendly & Reliable Service. Consultez le bureau de l’éthique commerciale si vous avez des doutes une entreprise de déménagement à Teslin YT.